The new Brooklyn Tweed Wool People 8 is here, and I have a pattern in it! I hmm-ed and haww-ed over submitting to the design call, but I’m super glad I did. This was a pretty challenging design to get out of my head and onto the needles, but I’m pretty proud of the finished sweater! 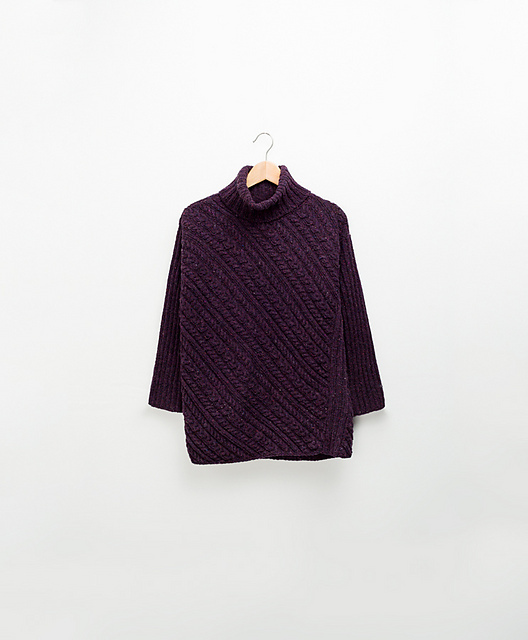 Bracondale is a super cozy, turtleneck tunic with a twist on traditional cables. I worked the front and back pieces on the bias, with braided cables and ribs along with incorporated I-cord along the hem edge. The ribbed side panels help to create a modified opening for the drop sleeve. The turtleneck and sleeves are picked up and worked after seaming the body. The deep dark purple Shelter (Plume) is really beautiful – and I love, love, love the mustard pants they styled Bracondale with! What’s your favourite from the collection? I love Bristol Ivy’s Keel, but that’s no surprise as she is a genius! Congratulations! This is a gorgeous design! It’s lovely Laura! 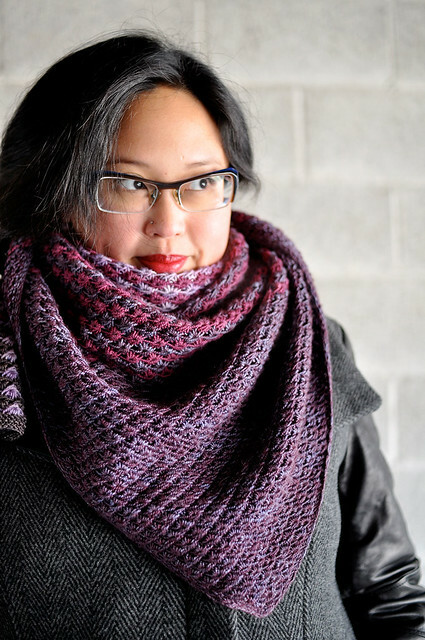 Diagonal knits always blow my mind! This is so beautiful! Honestly, it’s nice to see a BT sweater that’s NOT cropped and swingy. Wow–very impressive! Purple is not my favorite color but that shade is perfect for the cables. I think I may have to go out and knit every pattern out of the new Wool People. I saw this yesterday and thought of you before I even saw the designer name! Great job Laura! You can be proud, for sure – what a lovely innovative design! Yes, I love Keel, too. Congratulations. ooh congrats – it’s a beauty! i love the twist on things with the bias but it still fits with a nice silhouette. It’s beautiful, Laura, and I am so impressed. I would have absolutely no idea how to get such a lovely design from my head onto needles! You are very talented!